( VANCOUVER, B.C. 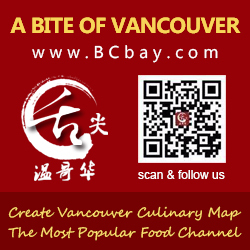 – March 10, 2014 ) The growing number of voters participating in the annual Diners’ Choice Awards is a good indication that Vancouverites are becoming more and more enthusiastic about honouring the best Chinese food in the Lower Mainland. The votes are not only a reflection of today’s dining trend but also the key in making the Chinese Restaurant Awards a reliable dining guide in Canada. This year, EY Canada is the official auditor that verified the 19,612 votes cast in the past four weeks, a 14% increase in votes over 2013.
balancing the combination of soup, noodles, and wonton all in one bowl. Garlic Spareribs, a delicacy that was invented right here in Canada. Avenue and Oak Street that has gained a loyal following.